At 12 noon today, the gavel fell on the start of the 2019 legislative session in St Paul and Bloomberg funded activists SWARMED the capitol! From “Red Flag” gun seizure legislation to “Universal Gun Registration” to even REPEALING the Second Amendment, these anti-gun radicals were demanding it all! Below is a video of MGR’s Political Director being swarmed by hundreds of these anti-gun shills, screaming for a full repeal of the Second Amendment! To watch the video on Facebook Live, GO HERE! To watch the video on YouTube, click here or on the image below! Site, if you just watched the video above, you know that these radicals are not going to stop until our gun rights are completely destroyed. And with a new anti-gun Governor Walz and a massive House majority more than willing to pass this gun control and a weak Senate that’s all but promised to do a deal, it’s up to US to stop them! First, tell your lawmakers to stop, block, and OPPOSE any attempt to pass ‘Red Flag Gun Seizure’ legislation! Second, tell your lawmakers that you want them to vote NO on any and all attempts at passing a Statewide Gun Registry in MN! When you’re done, I hope you’ll make an immediate — and EMERGENCY — contribution to Minnesota Gun Rights to help us mount a massive defense of our gun rights in 2019! Whether it’s $5 or $5000, please be as generous as you can. Site, nothing less than the future of our Constitutionally guaranteed Right to Keep and Bear Arms and the future of our state is at stake in this legislative session. Please take action NOW to make sure our gun rights stay in tact! We’ll keep you informed at every step of this fight! P.S. 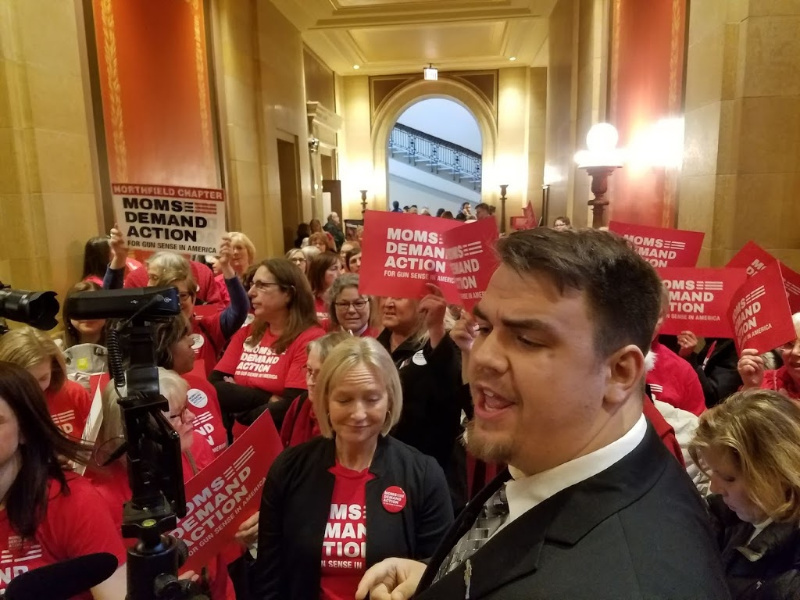 The 2019 legislative session is officially underway and there is a WAR on to destroy our gun rights in Minnesota! And you can join MGR or renew your membership here.